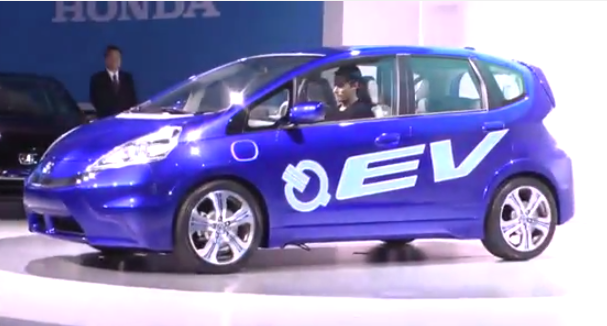 Honda has new EVs and Plug-in Hybrids are on the way. An all-new Honda electric-vehicle concept car will make its world debut November 17, at the 2010 Los Angeles Auto Show. There has been speculation the new EV could be using components from Honda’s FCX Clarity, but will be powered with conventional lithium batteries and not fuel cells. 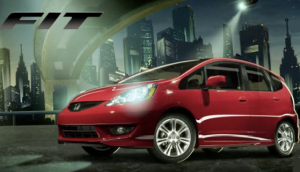 The Honda Fit could also be a good “fit” for the new Honda EV. Also, Honda will reveal a new plug-in hybrid platform showcasing the next generation of Honda hybrid technology. Honda Fit becomes an EV conversion. These new advanced green vehicles, along with the FCX Clarity fuel cell electric vehicle, help showcase Honda’s plan for the future and supports their commitment to developing environmentally friendly transportation based on sustainable energy. Of course the Honda Fit EV could also just be produced so that Honda can keep selling as many fossil fuel cars as possible and still comply with California CARB zero emission laws. That is what they did last time in the late 1990’s when they made an EV (the Honda EV+), which they ended up sending to the crushers in the Arizona desert to keep them off the road along with GM’s EV1.